Whether you have a Russian bride, a Ukrainian bride, or a Belarusian bride, this is information you need to know. If your Russian bride or groom has children, they will be able to bring the children along with them on the fiancée visa; they just need to submit a separate application for each child (this is called the K-2 visa). Once in the U.S., as long as the couple gets married within 90 days, the children can apply for permanent residence at the same time the Russian wife or husband does. Remember that Russian wives and husbands can apply for citizenship three years after receiving their green card. When the Russian spouse becomes a citizen, his or her children in the U.S. also become citizens as long as they are under 18 years old. When you and your Russian bride or groom decide to have a baby, if that child is born on U.S. soil the child is automatically a U.S. citizen. But even if the child isn’t born on U.S. soil that child is still a U.S. citizen. If your baby is born abroad there is some additional paperwork to complete, but, rest assured, your child will be a U.S. citizen. It’s very sad, but divorce does happen. And in that situation you want to know what will happen to your children. Is your Russian spouse legally able to unilaterally take your children to Russia? The answer is no. Divorce courts in the U.S. never allow one parent to take children out of the U.S. without the consent of the other parent (unless there are some really special circumstances that are far outside the norm). If your Russian spouse illegally takes your child to Russia, there are still legal protections in your favor. Russia and the U.S. are both parties to the Hague Abduction Convention, an international law that covers child abductions. Russia and the U.S. are not yet treaty partners under the Convention, but still, Russian courts widely recognize the Convention as providing the framework for how abductions should be handled. The U.S. embassy and a Russia-based family attorney can help you get a Russian court order to have your children returned. The Russian Interior Ministry then enforces the order. Let’s say your Russian spouse has adult children. Are they also able to come to the U.S.? The answer is yes, but it may take some time. 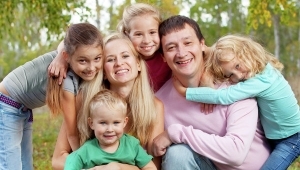 Adult children are not considered immediate relatives under U.S. immigration law. This means that they have to get in a very long line to get an immigrant visa.